NORTH VANCOUVER, BC – Deep Cove Brewers & Distillers has announced the release of its entry into this year’s batch of wet hop ales. Brewed with fresh Cascade and Cashmere hops direct from the Fraser Valley, this beer contains bright citrus flavours with subtle tropical undertones. Paired with mild bitterness and soft mouth-feel, this ale goes down easy. 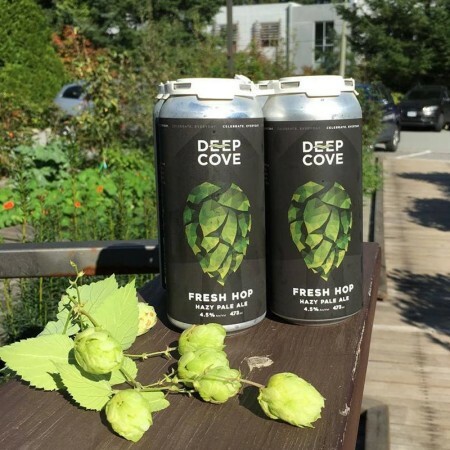 Fresh Hop is available now at Deep Cove and select private liquor stores.